LADOLOGIC is a trading company founded in 2016 by people with years of experience in olive cultivation and production of olive oil. 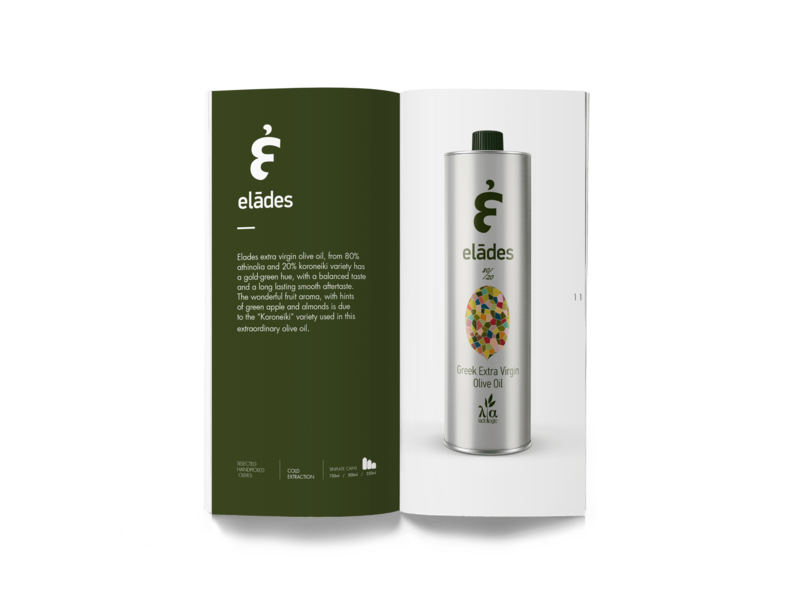 It operates in the PDO – PGI region of Laconia where the best extra virgin olive oil is produced in Greece. We were asked to design the company’s 16-page product catalogue and business cards. 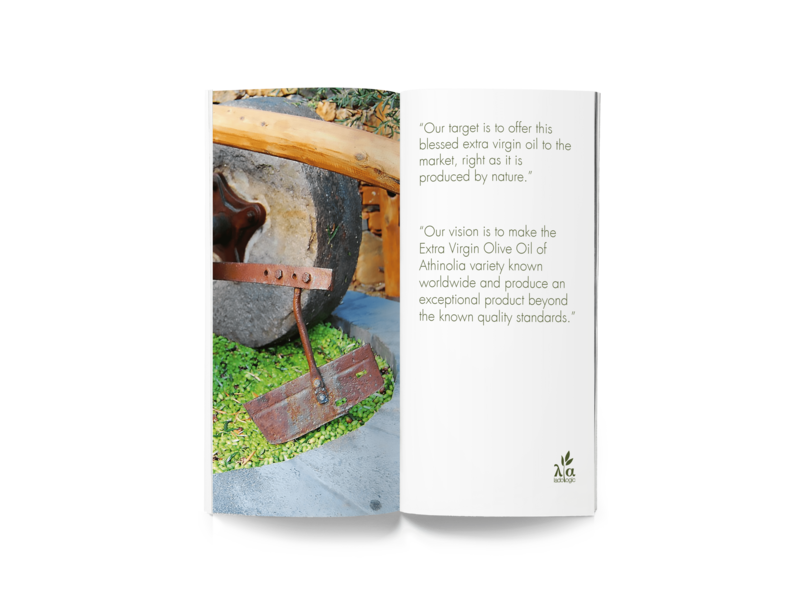 For the design of the catalogue we used photos related to olive processing and oil production. We used basic colors and simple design to give a minimal look. Great base was given on the paper used for the catalogue. In collaboration with the company we selected matte paper with a more glossy look on the logo to create a discreet contrast. 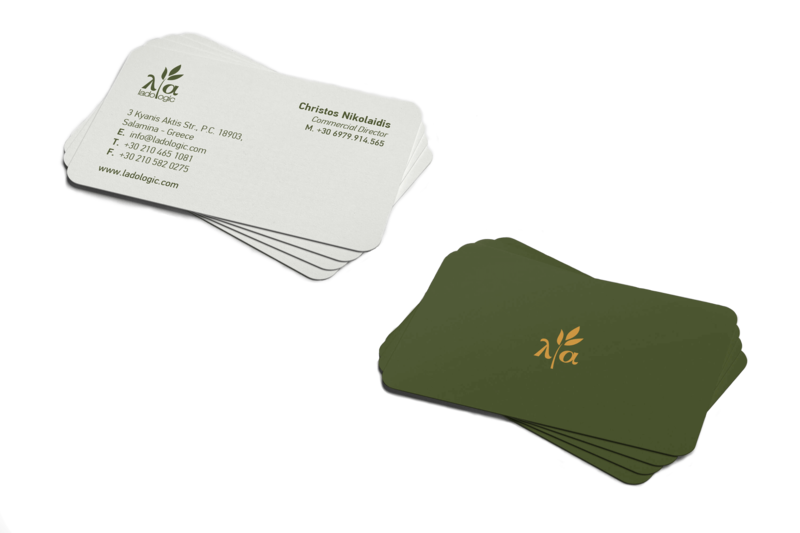 For the internal pages, matte paper also used to give the catalogue an aesthetic finish.For the design of the business cards, we relied on the colors of the logo combining them with the earthy colors of olive and nature. For the cards double matte paper was used.